On this 1920’s property in Putney, our Client wanted a design and build service to construct a basement below the entire footprint of their property. The house had an existing small cellar measuring approx. 15M² (161 sq.ft.) with a low ceiling height. The finished basement floor area is 95M² (-1021 sq.ft.) with a ceiling height of 2.6M. The property had a part timber suspended, part solid floor. The works were started externally, excavating in the front garden of the property, below the front bay window, breaking through and installing the necessary supports before starting the sequential underpinning to the foundations of the property, strictly in accordance with the Structural Engineer’s specification and calculations. 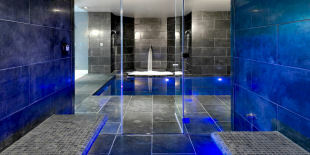 The entire process was carried out by hand to minimise vibration to the property. Externally a secure covered hoarding was erected around the front window of the property and a conveyor belt carried the earth away, through the roof of the hoarding to a skip in the road outside. 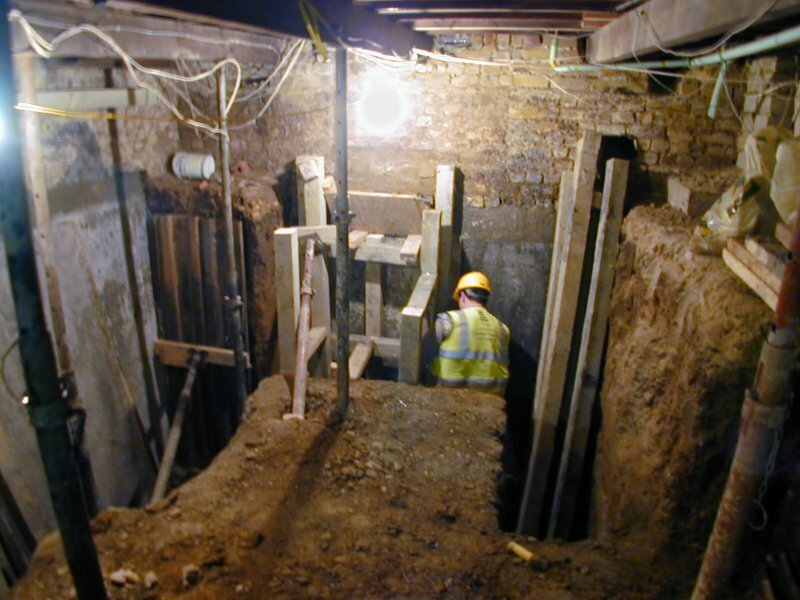 Once the structural works were completed, the structural waterproofing works were carried out using the cavity drain membrane system, combined with sump pumps. At this time the foul water pump was also installed and a concrete floor slab and screed laid. At this stage the project was handed over to our Fit Out team for 2nd fix, who took it through the stages of dry lining, stud partitioning, plastering, carpentry and joinery, i.e. 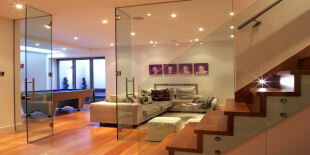 stairs, doors, windows, etc., and the electrical and plumbing and heating installation. Then it was time for our joiners and decorators to move in to bring the project through to completion, including wet room and utility room fit out, wine store, flooring, decorations and audio visual installation. Most importantly for our Client’s, they were able to live in the property for the duration of the works, which from start to finish took 28 weeks.